Sarpa salpa, — or as some people call it, “the fish that makes dreams.” Image credits: Brian Gratwicke. This small, inconspicuous fish, holds a nasty secret: its head is riddled with hallucinogenic substances which give people days of vivid, creepy, LSD-like hallucinations. 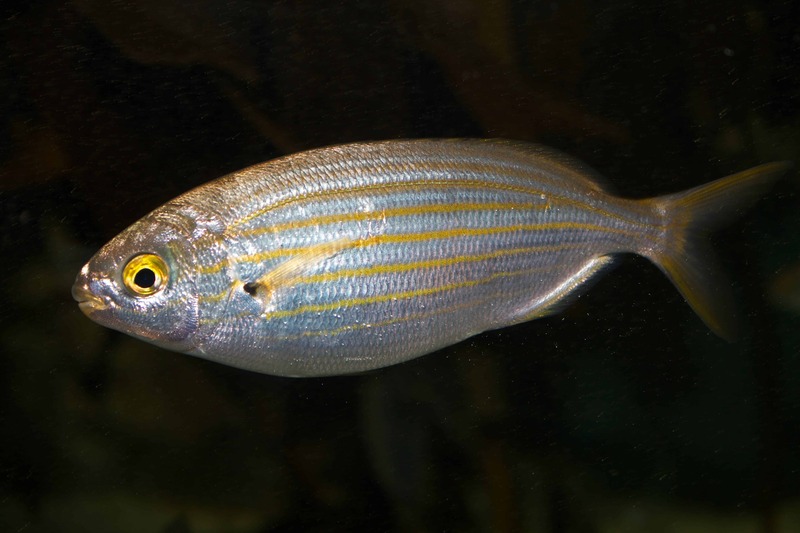 The small, golden-striped sea bream lives throughout the Mediterranean and Africa’s East coast, though it was spotted as far north as Britan. Also called dreamfish or salema porgy, it is found from near the surface to a depth of 70 m (230 ft). Not much is known scientifically about the toxicity of this fish, but there are reports that Ancient Romans treated it as a recreational drug, employing its psychedelic powers during ceremonies. In Arabic, the name of the fish translates to “the fish that makes dreams” so they probably also knew about its hallucinogenic properties. However, the body of the fish isn’t toxic or dangerous at all — in fact, the fish is served as a traditional Mediterranean dish, with rosemary and pepper. But if the head is also consumed, then things start to get a bit nasty. Ichthyoallyeinotoxism, or hallucinogenic fish inebriation, comes from eating certain species of fish, typically from around the tropics area. Ichthyoallyeinotoxism is usually associated with extremely strong, vivid hallucinations, and can be quite dangerous. It’s unclear if the fish themselves contain toxins or if they somehow pick it up through their diet, and salema porgy is no exception. But doctors weren’t sure what to make of his case since he exhibited no obvious symptoms aside from the hallucinations. Physical examination exhibited no striking anomalies: no fever, no indication of centralization or sensory-motor deficit. The man committed himself to a clinic, where he recovered after 36 hours. To make things even stranger, he couldn’t remember a single thing from this experience. The other case, just as bizarre, comes from a 90-year-old man. After consuming the fish, he began to experience mind flights of shouting people and screeching winged animals. Unlike the other case, he didn’t tell anyone, instead staying inside his house and toughing it out. Thankfully, the hallucinations faded after “only” two days. Another rather famous case (which hasn’t been scientifically documented) is that of Joe Roberts, a National Geographic photographer. Roberts wanted to try the dreamfish, so he had a chef broil it, and ate it with stewed pumpkin. He also experienced hallucinations, though they weren’t as vivid, and they weren’t really negative in nature. Roberts was quite happy with the experience. 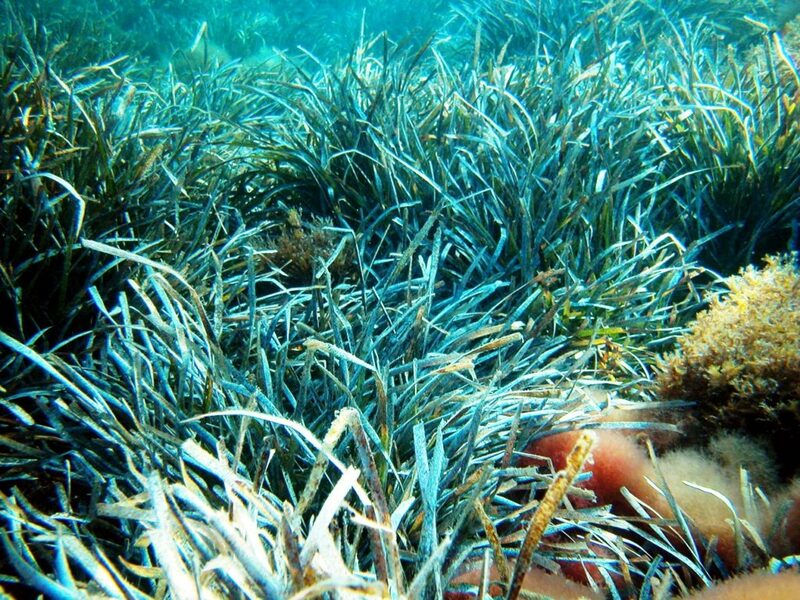 The key to the hallucinations might lie in what the fish eats — Posidonia oceanica. Image credits: Alberto Romeo. Understanding what makes the fish so trippy isn’t straightforward at all. Since not all fish exhibit the toxicity, and the toxicity levels seem to have a seasonal variation, it seems likely that the “trippiness” comes not from the fish itself, but from its food sources. Some authors have linked this to phytoplankton that develops on the seagrass Posidonia oceanica, but the dietary origin hasn’t been confirmed. To make things even more complicated, only some section of the salema porgy’s head exhibit toxicity. There doesn’t seem to be enough research yet about the agents that might cause ichthyoallyeinotoxism in the fish, but one thing’s for sure: if you eat this fish and then find yourself seeing giant arthropods or hearing screeching birds all around you… you’re probably in for a nasty couple of days.